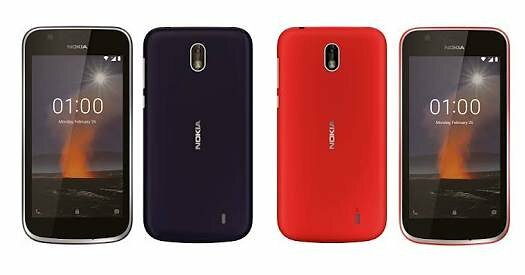 Nokia 1 feature a 4.5-inch FWVGA (480x854 pixels) IPS display powered by a 1.1GHz quad-core MediaTek MT6737M SoC coupled with 1GB of LPDDR3 RAM and 8GB of internal storage. On Camera, it has a 5-megapixel rear camera with a fixed focus lens and an LED flash. On the front it has a 2-megapixel fixed focus camera. Connectivity Options include 4G VoLTE, Wi-Fi 802.11 b/g/n, Bluetooth v4.2, GPS/ A-GPS, FM radio, Micro-USB, and a 3.5mm audio jack. It bears an accelerometer, ambient light sensor, and a proximity sensor.Packed with a 2150mAh battery. The smartphone measures 133.6x67.78x9.5mm. 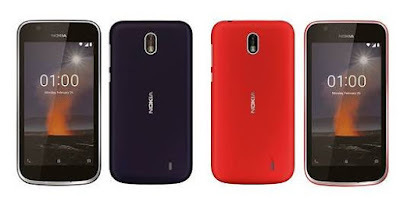 Nokia 1 priced at $85 excluding taxes and subsidies, and HMD Global is calling this the global average retail price.It will be available to buy from early April in Dark Blue and Warm Red colour variants. the Xpress-on covers priced at $7.99 (roughly Rs. ) and available in Azure, Grey, Yell, w and Pink.